I would try it!! And considering the pharmaceutical policy for assigning drug costs (that will be thirty two cents in manufacturing costs, and two dollars for research and development, and about forty dollars in marketing and MD perks and what the hell, how about seventy eight dollars in corporate compensation? Sounds about right!) 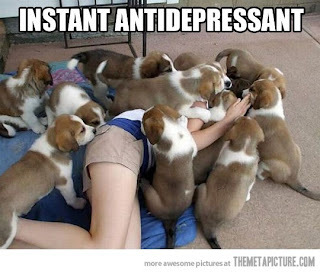 I am thinking upkeep on twenty puppies would be less expensive.